KCAOG is holding its spring kickoff event on Sunday, 11 March at 1730 at Cinzetti’s Italian Market (Buffet) Restaurant. Our special guest and speaker is US Marine Special Forces member Farhad Zarif who was born and raised in Afghanistan by Afghan parents, fought as an Afghan Army soldier against the Russian forces who captured and held him as a POW in 1987, immigrated to the United States where he eventually joined the U.S. Marines Special Forces as a linguist, and fought in Desert Storm during 1991. His speech will include interesting historic perspectives of the ancient and modern day Afghanistan and surrounding Middle East regions, his personal background as an Afghani who immigrated to the US and became both a US Marine and a staunch advocate of democracy as an American citizen, and his experience in fighting the Russians and the Iraq forces of Saddam Hussein. 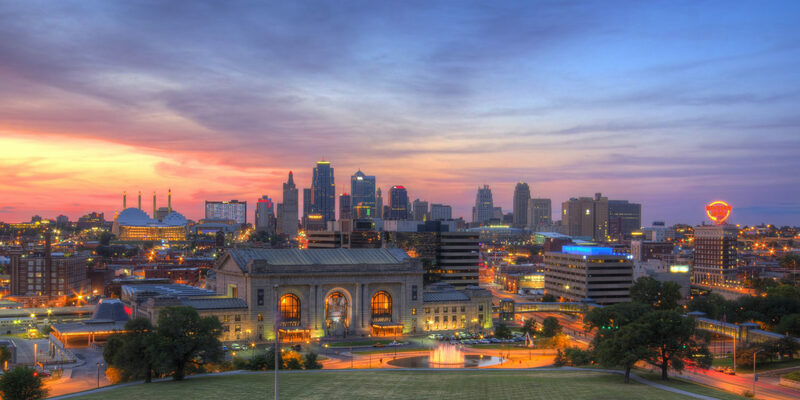 This event is open to members of KCAOG, the West Point Society, the Greater KC Metro Chapter of the US Naval Academy Alumni Association, military veterans and supporters and their spouses. Dinner is pay-as-your go. HOWEVER, DUE TO LIMITED SEATING, PLEASE MAKE RESERVATIONS FOR YOUR PARTY AT THE EARLIEST TO: gshuey@tensortech.com. Include your name, rank, class, and number in your party. Reservations are first come, first served. Our associations hold frequent joint events to promote our military academies and honor our past and present military veterans. We invite those interested in these events and our mutual purpose of supporting our Armed Forces to join our respective military graduate associations and be included on our mailing lists. The USNA Alumni Association, Greater Kansas City Metro Chapter, fully endorses this joint event. Please contact LtCol Greg Shuey, USAF Ret., via email ASAP if you plan to attend. Direct any questions to me. There are still openings here for those interested just indicate you want to attend this VERY NICE PLAZA DINNER (cost $45) on Sunday, October 22. From time to time we get invited to the other service academies events and I always enjoy “going behind enemy lines” as our comrades in arms are from the same DNA as us. As you will recall I invited them to our USNA Alumni Breakfast with RADM Penfield speaker back in April and some West Point and Air Force attended. LTCOL Greg Shuey the AFA AOG President for KC is also trying to get us (joint service academy) a future guided tour of nearby Whiteman AFB in Missouri to see the B1’s. You will also recall that LTCOL Shuey also got us upfront VIP FREE seating at the Memorial Day Celebration at the Station back in May 2017. Navy please let me know if you are attending (bob.culler@1974.usna.com). I will be there. Members of the graduate associations of West Point and Annapolis are cordially invited to join Air Force Academy grads in this special event. Guest Speaker: LTC Hugh Mills is one of the most decorated Army pilots of the Vietnam War. He served three tours in the war as a pilot in OH-6 (Scout) and AH-1G (Gunship) helicopters and was awarded 3 Silver Stars, the Legion of Merit, 4 Distinguished Flying Crosses, 3 Bronze Stars (one for ground combat, a rarity for pilots), 3 Purple Hearts, the Meritorious Service Medal with 3 OLCs, 68 Air Medals (6 with V for valor), and many more. He has over 9,000 hours in rotary aircraft and 3,000 hours in fixed wing aircraft. He was responsible for changing hunter-killer tactics by putting XM-27 mini-guns on his birds and making them flying attack planes. This reduced aircraft losses and increased enemy KIA numbers. He was also involved in several large rescue operations of downed Air Force pilots and was himself shot down and rescued but only after providing cover for his injured co-pilot while he himself was severely injured. He is the author of Low Level Hell, a Scout Pilot in the Big Red One. LTC Mills has had an extraordinary career and will be telling our audience of one of his most harrowing experiences. Don’t miss this evening. This will be one of our best events to date. Schedule: Wine tasting for those wishing to join us begins at 1630. (Note: Sunday evenings are busy nights at Cooper’s Hawk. While one can get through the flight of wines within an hour, getting served and enjoying the wines with good conversations with other grads is difficult in one hour. Thus the suggested start time.) Call to Dinner will be a 1800 on the upper floor in the private dining room. Wine tasting is not included in the event cost. Door Prize: Make sure you get your door prize ticket (one per couple) for a bottle of Cooper’s Hawk wine to be given at the end of dinner. Reservations: To make reservations, go to: http://www.cvent.com/d/rtq9dp , go to the Fee menu item (top of the website and register. Notice: Due to the venue, seating is very limited. If available reservations are full, contact Greg Shuey at: gshuey@tensortech.com to be placed on a waiting list for cancellations. Kansas City’s Max DeWeese, a 96 year old Marine Corps veteran of Guadalcanal, Tarawa, Saipan, and Tinian is from the “greatest generation.” He shoots his age in golf. He started off while talking to Naval Academy and Air Force Academy alumni on March 31 by asking what the number 35,103 meant to them? There were puzzled looks. He said it was the number of days he has been alive. Max DeWeese, Marine Corps WWII Veteran addresses the Kansas City Air Force Academy Assoc. 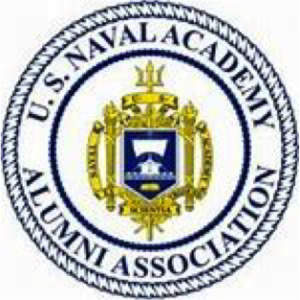 of Graduates and the KC USNA Alumni Chapter. Mr. DeWeese’s message of “freedom isn’t free” pointed to the sacrifices that veterans made in the Pacific in WWII, landing on islands with Japanese defenders entrenched in caves and fortifications. 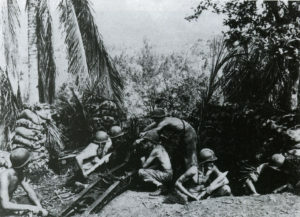 The Japanese were willing to fight to the death and would not surrender in most cases. 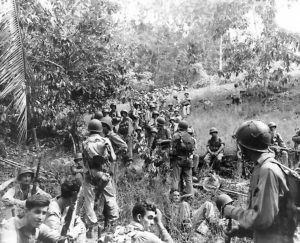 It took well executed military planning and strategy and cooperation between the Navy, Marine Corps, and Army (& Army Air Corps) to win the war in the Pacific. 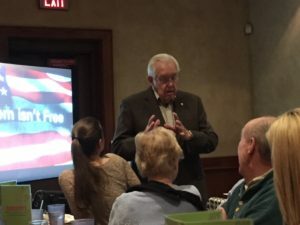 He further told us he spends time in local high schools talking about WWII history through an organization called Voice of a Generation, headed by Charles Cottitta in nearby Liberty, MO. Air Force Academy Sponsored Dinner (Navy/Marines invited) A Voice of a Generation: In addition to a presentation by Marine Veteran Max DeWeese, age 96 of his experience during the invasion of Guadalcanal which happened 75 years ago, we will also be given a presentation by Charles Cottita, founder of A Voice of a Generation. This is a great opportunity to bring your kids (or grandkids) and let them see and shake hands with history. And if you have friends or neighbors who support our military, invite them to come as well. As always, we need to get confirmations of attendees as soon as possible, before March 26, so we can guarantee the room.